Catwoman and the Sandman have teamed up, and they're after the fortunes of J. Pauline Spaghetti, a rich insomniac. Catwoman pulls a publicity stunt, getting the Sandman (under the guise of "Dr. Somnambula") an invitation to Spaghetti's penthouse - and her financial records. 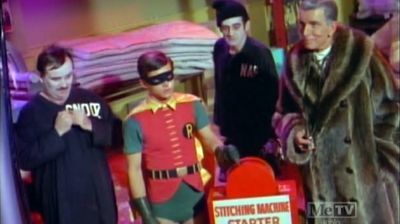 Batman and Robin investigate the situation, but soon find themselves trapped by the criminals.